Moving to Colorado - Compare International Movers & Save up to 70% ! If you want to find the right moving company for your Moving to Colorado, USA, Intlmovers can help you obtain quotes effortlessly. In one simple request, your moving details are sent to up to six international moving companies. They will respond directly to you with information about their pricing and available services. Of course, price is not everything. When you receive your quotes, it’s a good idea to ensure that you are comparing the overall offer and not just the total price at the bottom of the page. Some moving companies may offer additional services such as packing and storage. Make sure that you compare these services so that you get the best value for your Colorado moving budget. International moving companies that list with Intlmovers are specialists with moves to and from the state of Colorado. 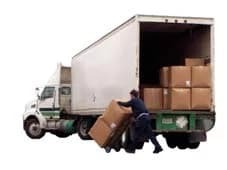 Regardless of where you are, you can be confident that your request is sent specifically to moving companies whose profile matches your request. They are specialists in this area so you can be sure that they understand all the necessary procedures to ensure a smooth international move. The state of Colorado surrounds much of the southern part of the Rocky Mountains. As well as the north eastern part of the Colorado plateau. It’s one of only three US states that has no natural borders. The state of Colorado is named after the Colorado River that runs through it, and originates in the western part of the Rocky Mountains. The river itself was named by the early Spanish explorers, Colorado being a Spanish word for red colored denoting the red silt that the river carries from the mountains. Colorado is also referred to as the Centennial State. It was officially named part of the US in 1876, which was the centennial year of the country’s Declaration of Independence. As much of Colorado is made up of plains, deserts, mountains and hills the weather experienced across the state is quite unusual compared to the rest of the country. The eastern plains of Colorado experience a semi arid climate, with low humidity and moderate rainfall. Most of the rainfall arrives between the months of April and September, with much of coming along with thunderstorms. That said, the area is also prone to droughts. In the capital and major city of Denver, the average temperatures are recorded at 82°F (53°C) during June and 44°F (19°C) during January. Across the western part of Colorado, to the west of the foothills and plains, experiences quite different weather patterns. The weather can change quite substantially from area to area, and is influenced by the topography. In contradiction to the weather on the east, the wettest time of the year in this region is during winter, and June is typically the driest month of the year. The Eastern Plains receive regular hailstorms, and are considered some of the heaviest in the continent. These plains form part of Tornado Valley and are regularly subject to tornadoes, as well as flooding. The flooding is caused predominantly thunderstorms in the area, as well as melting snow from the nearby mountains. In general though, Colorado is considered a dry state that receives minimal rain and experiences drought across the regions throughout the year. With a population of around 5.2 million people, of which around 600,000 are based in the capital city of Denver. Colorado has a reasonable cost of living in comparison to other states. The median house price in Colorado is around $180,000. The median household income in Colorado is around $54,000. Keep in mind that median pricing is a different calculation to average pricing. Any type of arrival in the USA requires that you have the correct paperwork for your stay. Mexicans and Canadians are subject to special consideration for living and working in the USA. Under the existing Visa Waiver Program, passport holders from a list of 36 countries are also able to arrive in the USA without any need of visa for stays that do not exceed 90 days. If you are planning on a longer period in the country, or you expect that during your 90 days your particular situation or requirements may change, then you should arrange for the appropriate visa. Civil documents – these include birth and marriage certificates, etc. The moving companies on Intlmovers are professionals, who often offer specialization in specific services or fields. If you are moving from Colorado you can request free moving quotes from the best international moving companies from Colorado. Without any obligation, you will have the chance to compare quotes. This will save you time and money. You will receive a preselected list of six international moving companies, which match your international moving requirements. By requesting and comparing quotes, you will find the perfect moving company for the shipping of your personal belongings.